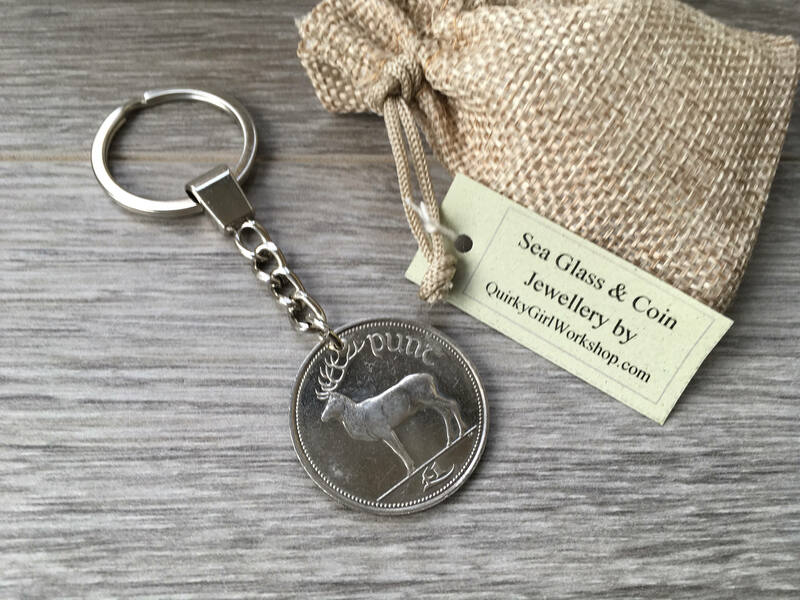 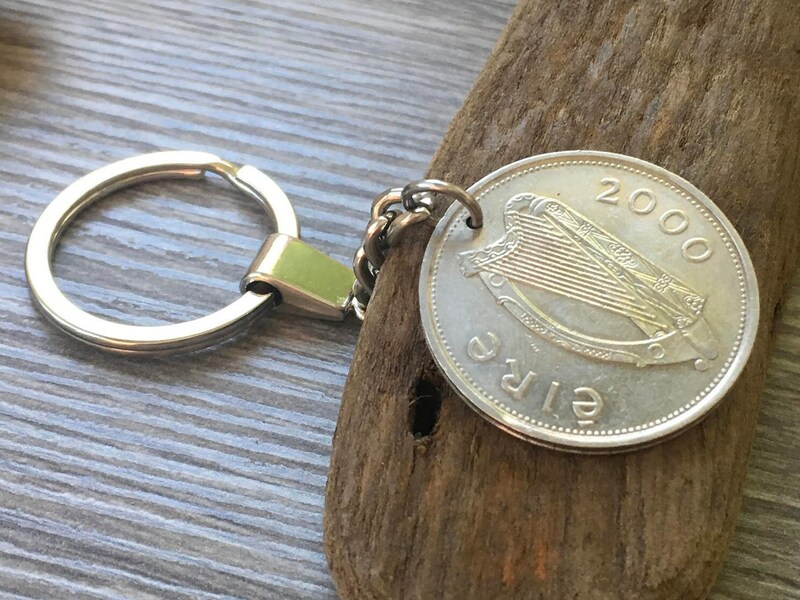 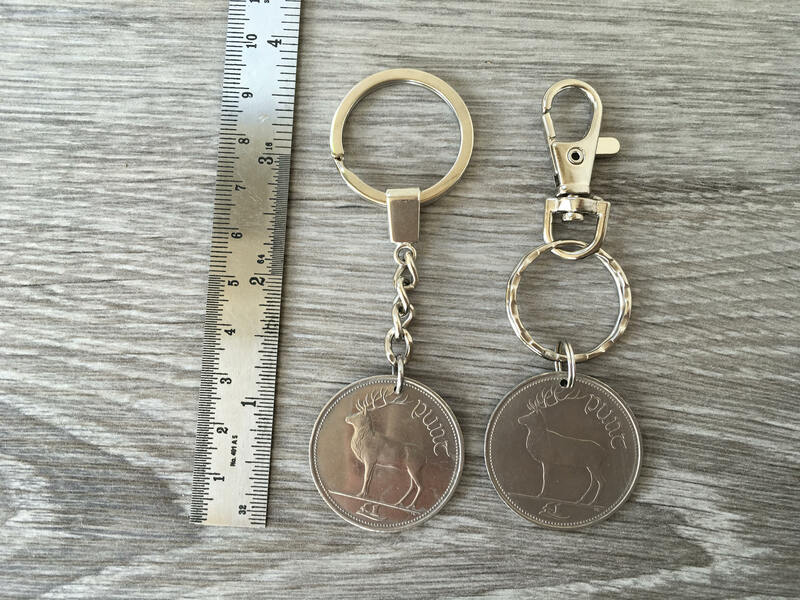 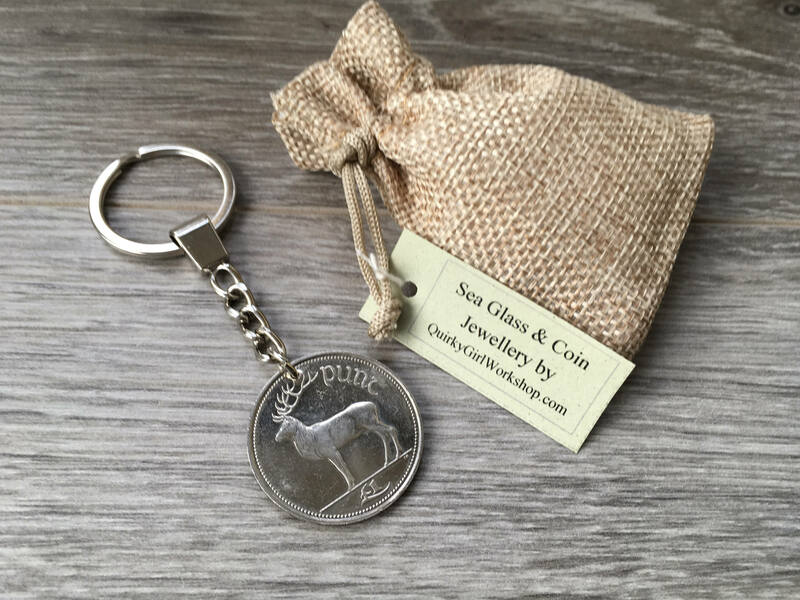 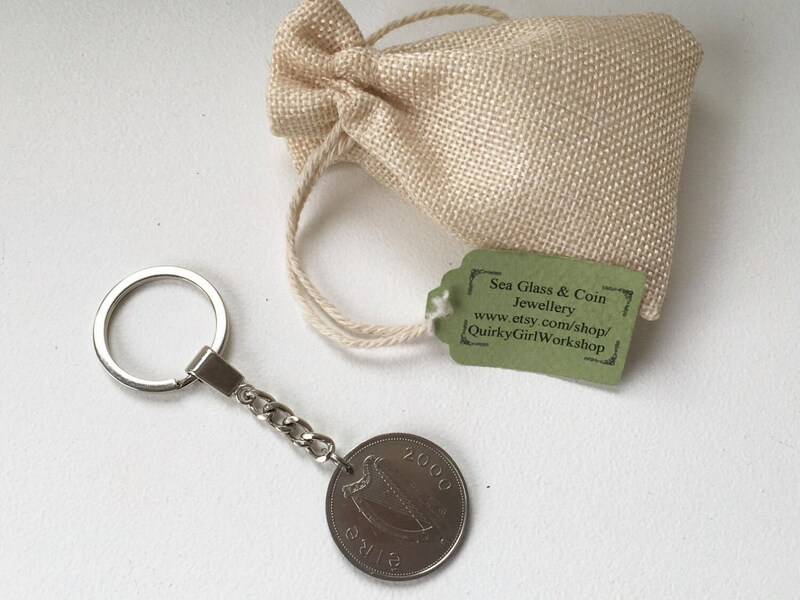 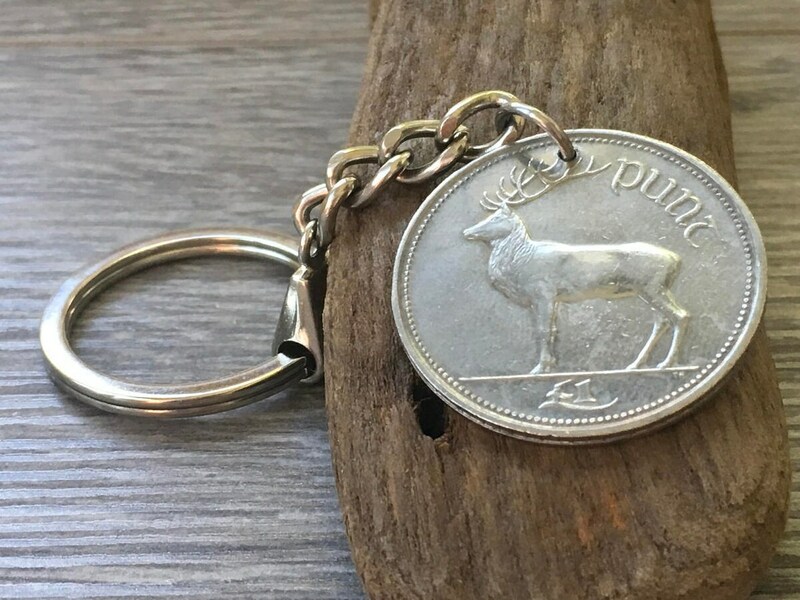 I have made this lovely large Irish coin into a key ring. 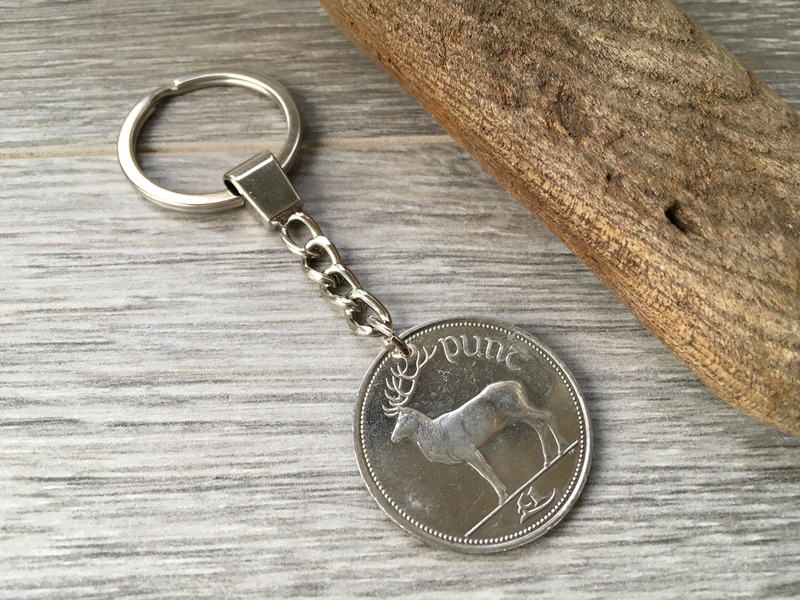 It has a picture of a red deer on one side and a harp on the other. 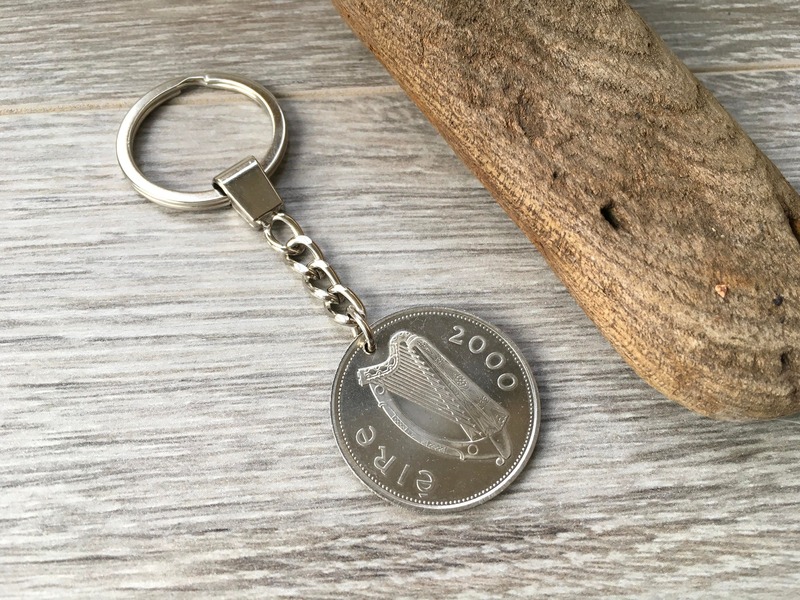 It would make a great fun 19th birthday or anniversary gift.